The adage that "dogs grow to resemble their owners" is not much of a compliment anymore in America -- namely because it portends that our pets will become as portly as their people. In fact, as CBS News reported earlier this year, a third of American dogs are considerably heavier than they should be and it's shortening their lifespans. 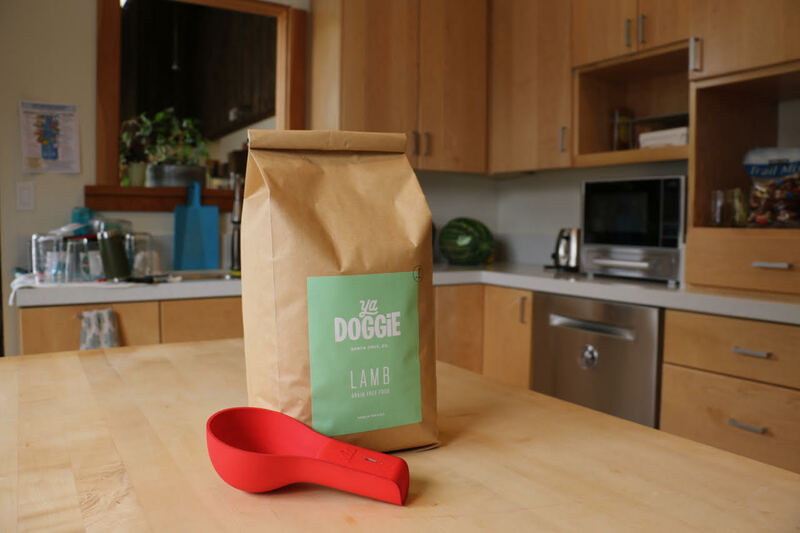 However, a smart pet food scoop from Santa Cruz, CA-based Ya Doggie promises to not only help establish better feeding habits but also save you from kibble runs. Ya Doggie is a subscription-based pet food delivery service that is designed to really get to know your pet. When first signing up for the service, users will list various specs about their dog like age, weight, activity level and breed. The system will then determine the proper (ie veterinarian-recommended) amount of food to give them at each meal to help them lose weight or maintain their current heft. The system also uses a "smart scoop" to help the service estimate when you'll need to order more. The scoop itself is really simple: it's a big plastic spoon equipped with an accelerometer and a low-power Bluetooth link to a connected smartphone app. 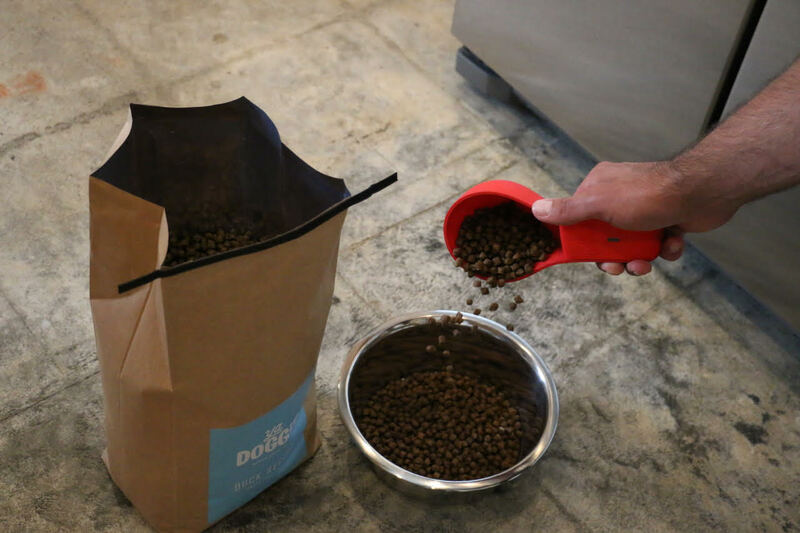 The scoop tracks how many times you've dumped food into Fido's bowl and uses that data to inform the company's predictive ordering algorithm. This algorithm, in turn, ensures that the next bag of food lands on your doorstep just before the current one runs out. What's more, the scoop can send text alerts to the other members of the household, letting them know you've already fed the dog. The kibbles come in three varieties -- Buffalo/Duck, Lamb & Sweet Potato, and Limited Ingredient Turkey & Pea -- and a number of sizes from 3 to 25-plus pound bags. Since the service charges members by the amount of food their pets consume, rather than simply by the month, different customers will pay different amounts. However, the company estimates that for an average-sized 40-pound dog, you're going to pay around $50 a month. Ya Doggie launches on Wednesday, September 20th with a $1 "welcome kit" that includes small test-bags of kibble to help you decide which variety your dog likes best. The scoop itself will be released in November and any who's subscribed before then will receive a scoop at no charge -- otherwise it'll likely retail for $40 - $50. Disclaimer: Tim Armstrong (CEO of Oath and my boss' boss' boss' boss' boss) is an investor in this venture.